One of the whistleblowers says the SAPS is expected to implement the public protector’s remedial action. One of the whistleblowers in the Sandiso Magaqa murder case, Thabiso Zulu, told the African News Agency (ANA) on Thursday that he and fellow whistleblower Les Stuta were “worried” that while all the expected court processes continued, their lives remained at risk. This after Police Minister Bheki Cele issued a statement responding to a leaked report from the office of public protector Busisiwe Mkhwebane, which contains damning allegations that also engulf Cele. The statement issued by the police minister states Cele “instructed the SAPS management, to internally and procedurally work on the report for the purposes of launching an application for a judiciary review of the report”. “We also believe that it is misleading of anyone to mistake the judicial review process with the court appeal process. The SAPS is expected to implement the Public Protector’s remedial action unless/until they are set aside by a court of law,” said Zulu. “This is not personal. Minister Cele remains my senior leader and a cadre I respect, I don’t want this to seem personal. Before he became a minister I was among those who were calling for his return to the police because I knew what he is capable of in the fight against crime,” he said. While the matter may well find its way to the Constitutional court, said Zulu, victory was certain. Cele, on Thursday said he was looking to challenge a public protector report that found the state should pay for private security for two whistleblowers in the Sindiso Magaqa murder case. Cele’s spokesperson, Reneilwe Serero, acknowledged the minister had received the report, which is yet to be made public. Serero said Cele had “serious reservations” about the report’s findings and the remedial actions proposed therein. In the 47-page report, Mkhwebane found that the “failure” by Cele and the South African Police Service (SAPS) in providing security for Zulu and Stuta “exposed them to the risk of being assassinated” and also exposed the police to potential legal action from the men’s families should they be “assassinated”. In her remedial actions, Mkhwebane said that, among other things, Cele needed to provide Zulu and Stuta “with the requisite security at state expense”. 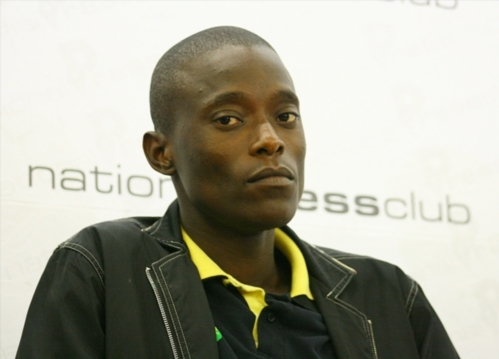 Zulu and Stuta told mourners at Magaqa’s widely broadcast funeral in September last year that he was assassinated after uncovering tender corruption related to a memorial hall at uMzimkhulu Municipality, where he was a PR councillor. Since Zulu and Stuta first made public the allegations of corruption, they have had to contend with multiple death threats. After approaching the police for assistance and being pushed from pillar to post, Zulu eventually approached the public protector. Although the men underwent a security assessment from police in December, the results were yet to be made available to the public protector, according to Mkhwebane’s report. She further said that a threat assessment done in April this year by the State Security Agency found the men “urgently require protection from the state”. The assessment also recommended that the men “be protected by individual private protectors”. Serero said Cele had instructed SAPS management “to internally and procedurally work on the report for the purposes of launching an application for a judiciary review of the report”. “This is done in light of the dire consequences for the Ministry of Police and the South African Police Service, if this report is left unchallenged especially on the operation of the Protection and Security Services,” said Serero.